Bloggers Challenge #46 brings you loads of ideas for last minute creating of your Mother's Day cards. Both of my cards use the Watercolor Distress Technique from a past issue of the TJNL. On the card with the Iris - after the Iris was stamped, I simply went back and colored in my image with Distress Inks and an aquapainter. These are both awesome cards, Lisa. I especially like the second one. I have some silhoutte stamps that REALLY need some attention. Thanks for the inspiration. Ohhhh, ahhhh very pretty. Love the colors in both cards, nice technique. These are both so pretty! I love the different colors that you used. TFS! Lisa you are one of the few people who can create many cards from one set and make them all look beautiful! I usually use a set and switch to something else, lol! That may be why there are SO many stamps in my studio. Gorgeous cards Lisa, I love the 2nd one and the colors you used on it! Lisa! These are spectacular cards! They are stunning...the backgrounds really make the focal image pop! Nice cards Lisa...Love your Iris but I think my favorite is the 2nd card. The silhouette just looks stunning with your colors on that card. Just FAB GF! You do such beautifull art! 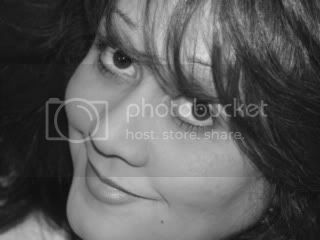 Beautiful, Lisa! 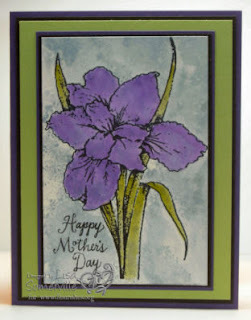 Love the iris stamp...one of my favorite flowers! Beautiful cards, Lisa! Love that iris! Love them both Lisa. I'm especially drawn to the colors in the second one. These are beautiful, Lisa. 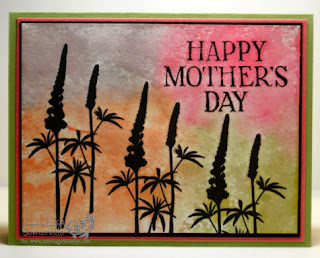 I especially like the floral silhouette one--those images look great stamped in black against a colorful background. Wow! It's hard to say which one I like more. I love the Iris stamp and the background on the 2nd card is awesome! Gorgeous! The colors and the backgrounds look amazing! Happy Mother's Day!